40 weeks and 3 days in case you weren't keeping track as obsessively as I am. I waited 9 months so yes, I can still wait a few more days, but patience is not a virtue I have so this is hard!! I guess she's already as stubborn as her mama, atta girl. Friday was my due date, and I just keep trying to remember that due dates are only but a rough guess. They should call it your maybe date. Like MAYBE you'll be lucky enough to have your baby before or on this day, but maybe not! I like to just think she has a little bit more cooking to do and will come when she's all ready, I'd rather have her be ready than not. Doctor wants to induce me Friday if she hasn't come and as much as I would really like to NOT be induced, I know at 41 weeks she will probably be just fine to come. Just send lots of good vibes, guys! So here are two stories of why people are the nicest things. We've been looking for a mom car for a while now and never really took it too seriously to just buy something. Well, Jason's car died (like it does pretty much every other day) and we decided we should probably buy a mom car instead of continuing to fix his car. After talking with sketchy/pushy dealerships (I'm talking to you Mark Kia dealership), we decided to get something off of craigslist! We searched and searched and finally found one to look at that was below our budget (scoreee) We met up and it belonged to these two nice older ladies that clearly took amazing care of the car! We loved it when we test drove it and talked down the price and decided to get it. My due date was the day we planned to meet up and buy it, and since baby didn't come, it worked out on that day! Anyways, we handed them the envelope of money and one of the ladies reaches in, pulls out a $100, and says "this is for your baby, congratulations!!" like holy cow. WHO DOES THAT?? Can I be that nice??! It was such a blessing and so nice and they even filled up the gas all the way before we bought it. One of them even texted me today asking if the baby came. We couldn't believe it and it didn't seem real, they will never know how much it meant to us! They are just so nice. We all hugged goodbye (Who hugs the people you just bought a car from?! We do!) Like can you guys be her grandmas or something? Picture from last year's anniversary :) post can be found here. Second story of nice people happened on Saturday! Our 2 year wedding anniversary was Sunday and we went to dinner on Saturday to celebrate. The wait was soooo long but soooo worth it. While we waited to be sat, a family walked in and asked questions about when I was due, told us stories of how their kids were late, and we just chatted for a little while. I thought they were the cutest family, they were out with their two teenage sons and I loved that. I want to be the parents who just takes your kids out to spend time and bond and stuff. Anyways, we finally got sat and a few minutes later the family got sat right across from us! When it was time for the bill to come, the waitress said "um.... so someone actually already covered your bill for you and it's all set!" I was literally speechless. Like I sat there and forgot english and then remembered how to say "Can we ask who?!!!" and she said it was anonymous. We had a big hunch it was the sweet family we had met earlier that night and we couldn't bring ourselves to just leave and not say anything. We walked up to them on our way out and said "so they wouldn't tell us who did it, but THANK YOU" and they were just so nice and didn't admit it, but didn't deny it haha J and I want to be able to do that for people someday because it was just the nicest surprise and so freaking kind. They shared how much they knew we would love being parents and what a great thing it will be, which made me that much more excited! What sweet stories!!! :) Stuff like this really restores my faith in humanity. I love hearing stories like this and two in the same weekend??? Amazing!!! I hope that baby girl of yours decides to make her appearance before she is forced out by the doctors!!! Best wishes this week girl, I am sure you are more than ready to meet that sweet precious baby! OMG. These are the best stories. I literally have tears in my eyes. I love the nice people in the world. Seriously! That is so nice of both of those people! Good to know there are still good, kind people out there! Hoping baby girl makes her arrival soon! Now, on to the lil lady, she needs to get her lil doopa out in this world already! Ha! Thinking of ya, girlie. Haha! Some babies just need that extra time to cook. She'll be here SO soon, though! It's so nice to hear about the good people do! 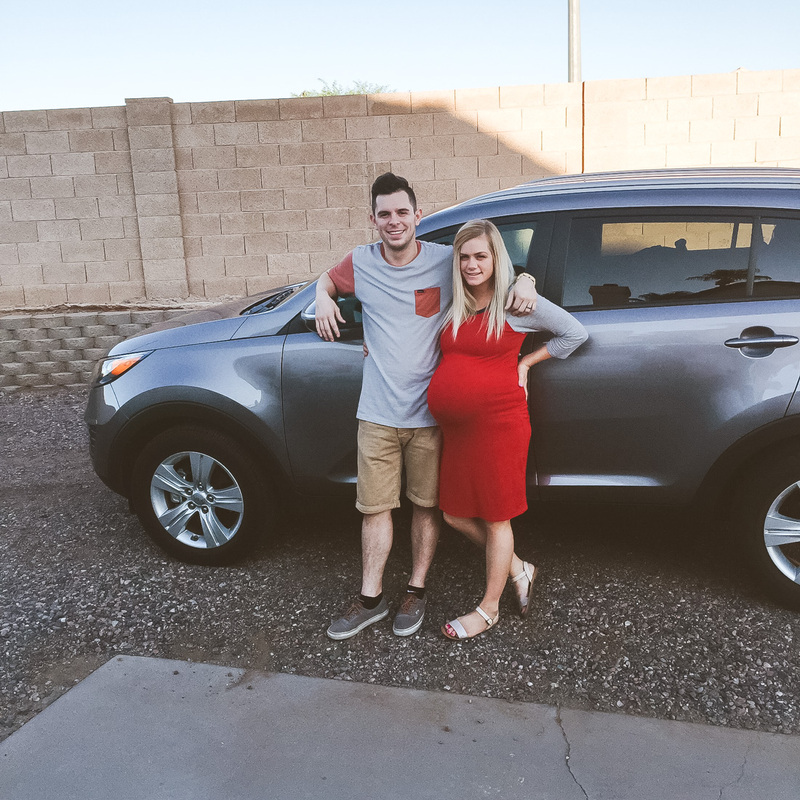 I'm glad you guys got a new car.. All ready for baby girl to get here ;)! I hope she comes when she's ready & here's to hoping she comes before you "have to" get induced! Either way, pretty soon you'll get to hold her in your arms! :) best wishes, girl! So nice to hear stories about there still being good people in the world!! 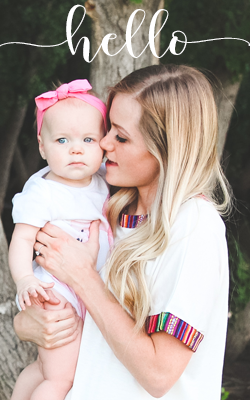 Hope you have a sweet baby to snuggle soon! Hoping baby comes soon for ya'll! Kindness for the win! Awww this makes my heart happy! I paid it forward at Starbucks once. These stories makes me want to sprinkle more kindness out there. Thanks for sharing! Omgosh I'm so excited for your to meet your little girl!!! Awww Strangers can be so sweet sometimes. That is seriously such a touching story! Do you think you'll be keeping in touch with the people who sold the car to you? With some new dreams and new wishes a baby comes to the earth and it's a great sacrifice of a Mother. Thanks to all the mother to born this world.